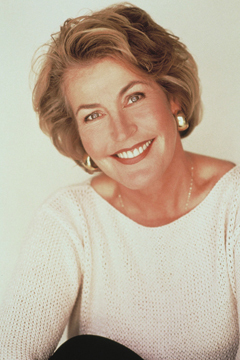 The Hollywood Show is pleased to welcome multiple Grammy Award winner Helen Reddy to our February celebrity roster! Known for hit songs including I Am Woman, No Way To Treat A Lady, Ruby Red Dress, Delta Dawn, and many, many more, Ms. Reddy will be joining us on Saturday, February 13th only. The Hollywood Show marks Ms. Reddy’s first ever appearance at a celebrity autograph event, and after spending the day greeting her fans, we’re positive that it won’t be her last. This entry was posted on January 17, 2010 at 8:44 pm and is filed under Breaking News!. You can follow any responses to this entry through the RSS 2.0 feed. You can leave a response, or trackback from your own site. Helen in the states? Yes..tell me when and what time???? She’ll be there from 10AM to 5PM on Saturday, February 13th only. where? address /location please? thx! The Hollywood Show – Marriott Burbank Airport Hotel & Convention Center – 2500 Hollywood Way – Burbank, California – Right across from the Bob Hope Airport. The event will be held at the convention center. how much is entry? where and how to buy tix? Entry for Saturday is $20.00, unless you want the Early Bird ticket. All of the information on ticket purchasing can be found on The Hollywood Show’s website at http://www.hollywoodshow.com.